Hope you are all having a lovely cosy weekend? I thought this month I'd share with you the mens version on Birchbox that I recently bought for the Mr. The box was released in December but is still for sale- why not treat your lovely fella to some beauty products this month(all very manly of course!)? I love having a box sent to me each month full of goodies but as of yet I don't think there are that many around for men, so when I saw that Birchbox released this one I just had to buy it. The box was £25 plus shipping and contains 7 products. 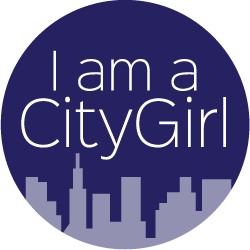 I'll pop in links for all of the brands plus links to the Birchbox website too! I really love this box design- its a slider style box- I'd love it if the girly Birchbox came like this- a lot more useful I think! The 'menu' card has a really interesting design on too- I'm actually going to pop this one in a frame and put it on the wall in our bedroom- I love the really simplistic design of 'manly' stuff.. sums up my fella completely- phone,wallet,keys! When he opened the box he didn't look at the 'menu' card- thats the bit I love about subby boxes- the element of surprise! So as I've already mentioned- the box contained 7 items- one was a pair of Richer Poorer socks- he was way too eager to get them on so I had to snap a photo on my phone! 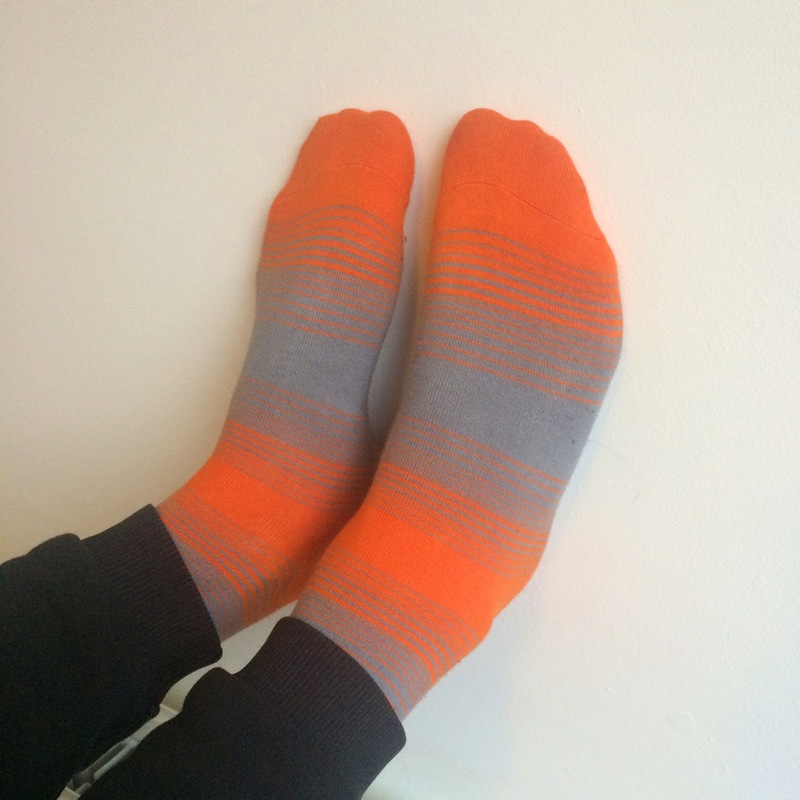 *never thought I'd be blogging about mens socks! SO back to the Birchbox! 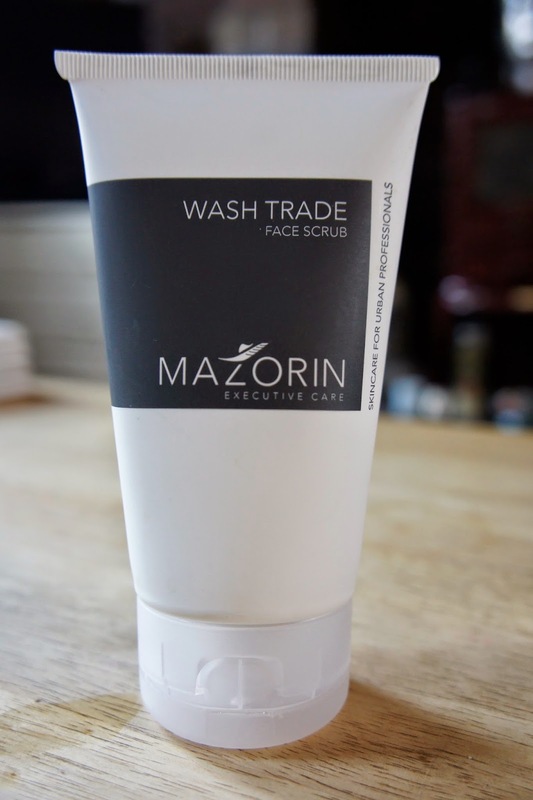 The Mr describes this face scrub as being really beady and when applying you can really feel the little grains in the product- perfect for a deep exfoliate! This is because it contains bamboo and maracuja (part of the passion fruit family) powder that exfoliates the skin and help unclog pores. Hes loving this product and it works well with some of the other skin care items in the box. *He'd buy this product again- loves the scent, texture and results. The pomade is a light gel wax pomade designed to keep your locks in place all day. Pretty simple to use- scoop out a blob and distribute it between your palms and fingers then work the product from root to tip. Closed on Mondays recommend that you give your hair a good blow-dry before using- the better styled the blow dry the better the hold! 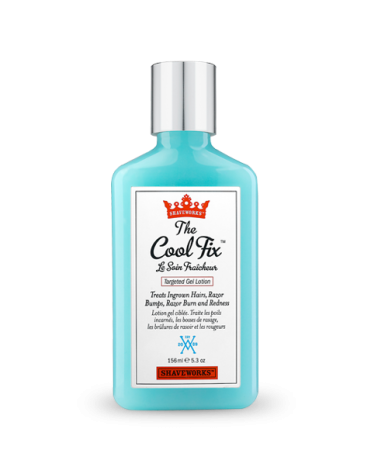 It can be used on slightly damp hair though if you are in a rush. *He'd possibly buy this again- needs more use out of it to see whether it compares to his current product. 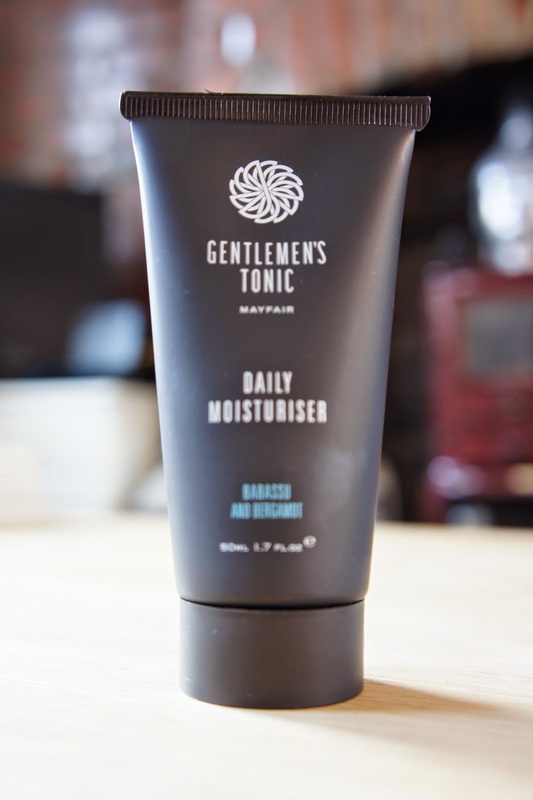 A moisturiser infused with natural essential oils for use both day and night. Really lovely scent of bergamot and is suitable for all skin types. It contains seaweed, babassu oil (extracted from the babassu plant native to S. America) and coco butter. He has used this all this week and he's enjoying it but has mentioned that a little goes a long way- use less than you usually would because it takes a bit longer for skin to absorb! *He probably won't be purchasing this item again- the absorption time is an issue for him apparently! He loves the scent though and would like to try out the Daily Foaming Cleanser from the range. 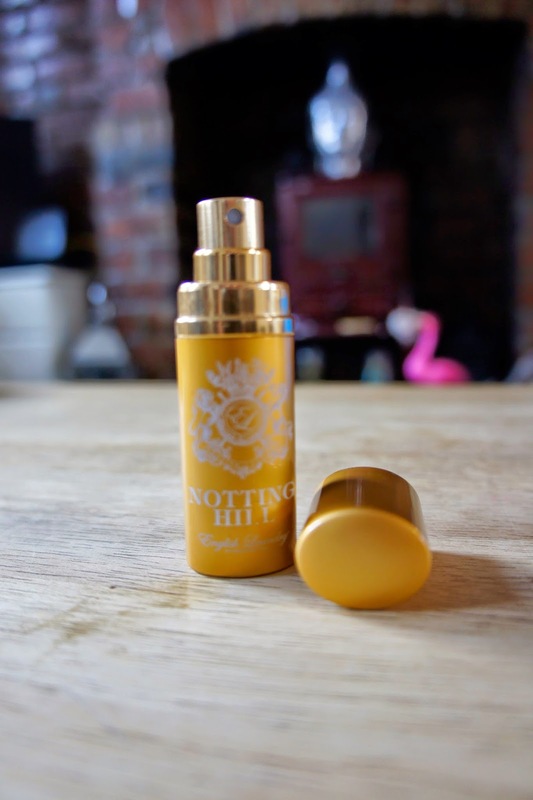 This anti-ageing serum is designed to plump skin whilst relaxing deep lines and wrinkles for our lovely fellas. The alpha hydroxy acids in the product help to correct the appearance of sagging skin and improve skin texture and rejuvenation! The serum is designed to be used on just cleansed skin- massage in over face and neck and your done. Damn my man has expensive taste.... this product is by far his fav from the box. He's even shown it to his mates as a must have product for those in their 30's! I like how it is packaged too- looks all science like in its little pipet! Mmmm this cologne is delish.. its really fresh and citrusy but still manly with its undertones of sandalwood and amber. It comes in a really handy sized bullet atomiser- perfect to pop in his gym bag. I'd want him to buy this again for sure! We both LOVE this product! It has been used since this photo was taken and afterwards our bathroom smelt like a winters walk through a forest! With top notes of bergamot and grapefruit underpinned with cardamom and sandalwood this little beauty leaves you feeling really refreshed and clean! We both aren't into using the same product for hair and body though but this is a lovely shower gel. Would really recommend this product for those who like a more natural smelling shower gel- I've recently become really sensitive to the bog standard shower gels we pick up- they smell so chemically and fake so its really nice to find a gel that smells so natural and earthy! I hope you've enjoyed having a peek into the mens box- I really think Birchbox should bring out a monthly box for men rather than one off's- us girls are lucky to have so much choice when it comes to subscription boxes. If Birchbox were to bring out a box I think making it £15 would be reasonable! Do you know of any other mens 'beauty' boxes? Would your Mr subscribe to a box each month?